Romy Lewis, a ballet dancer at the peak of her career, loses everything when she is blinded by a mean prank. Her agent suggests a visit to the Wiccan Haus resort to sort out what she wants to do with her life now that both her career and her eyesight have been taken from her. Stephen Bonsaint, bear shifter, computer programmer, and sometime spy, always figured he’d meet a sturdy mama bear someday and have a couple of cubs with her. A tiny human ballet dancer who can’t even see is not at all who he imagined as a mate. Together they dance around their feelings for each other as Romy learns how to navigate her new life, and Stephen learns that sometimes, strength isn’t something you can see from the outside. Truthfully after several hundred books, I still have not wrapped my head around what makes a short story a short story or a short novel a novella. All I do know is that it is really darn hard to tell a complete story with character development, intriguing plot and a believable romance in a few chapters, but Vanessa North and the other authors of Wiccan Haus do time it and again with flying colors. This is my sixth Wiccan Haus installment. I also believe this is my sixth 5 stars review. 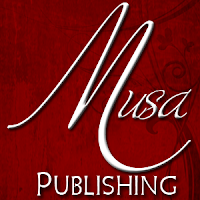 The people of Musa have really done exceptional job with picking quality authors with the ability to weave great tales in a confined amount of time. They have kept the story line consistent, fun and exciting love stories and even throw in some new twists along the way. Ms. North is a new author for me and she did a fantastic job. I loved the angle she went with; a blind struggling heroine and a big burly bear shifter. I sit here and envision a tiny ballerina and a huge bear of a man and chuckle. Talk about opposites attracting. They had some issues to overcome and this couple could have held up to a longer book, but Ms. North did a great job capturing Romy’s frustration and Stephen’s patience in her allotted time. They were really made for each other. One of the best treats about this series is that you consistently get to revisit the original members of the staff. They bring such color to the stories and I’m glad that the authors incorporate them seamlessly. They really help weave the stories together and make them even better. Shifter’s Dance was a wonderful treat. I could even see myself enjoy a couple of stories about two brothers (hint hint). You never know. If what Ms. North says is true, Stephen’s brothers will be booking a trip to Wiccan Haus. If that is the case sign me up too. I’m always game for some bear shifters. Bring the boys on! Below are my reviews of the first five books in the series!